You are here: Home / Crafts / Give kids their very own mailbox! 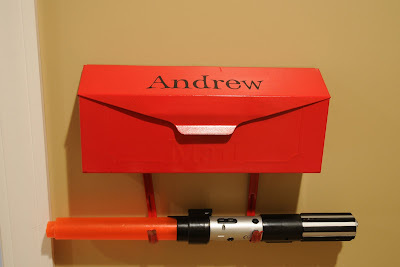 Give kids their very own mailbox! *forgive the so so pictures.. I have been waiting for a sunny day since there is not much light in the hall but we have been living in a rainforest this month and it’s just not going to happen! 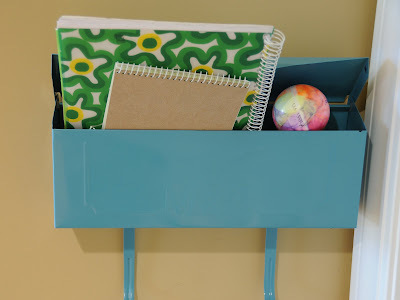 This idea started out with me looking for baskets to put on the wall outside my kids doors. When we are cleaning up, for some reason they refuse to put things away inside each others rooms. They leave the stuff on the floor outside their siblings room, making the hall a mess. Right now my kids are in the “little” phase. As in lots of “little” toys i.e. legos, polly pockets, American Girl clothes, hot wheels (lots of little things all over the place!) …One day I went looking for baskets to hang on the wall and came up empty. Then I went to Lowes for something else and I walked down the mailbox aisle and had a light bulb moment! Why not a mailbox? They would hold all the little stuff, and be more unique than a basket! They come in all shapes and sizes, in the end, I elected to go with the cheapest ones there. (wouldn’t it be cool to search out antique ones?) I did not want basic black, so I got the mail boxes and 3 cans of spray paint. He painstakingly spray painted the mailboxes. He spray painted them lightly sanding between each coat. I think it took 3-4 coats total. We hung them up and I put on some vinyl letters with the kids names that I had been saving for just such an occasion. So far they work like a charm! Plus a side benefit is that the kids have been sending each other “mail” constantly… They are writing letters and reading them. It’s nice, especially since my son has been struggling a bit with reading and writing in school this year. I love the look it gives the hallway upstairs. (which as you can see still needs ALOT of help!) Now wait until you see what I do to the doors! Here’s a link on Amazon to the mailboxes that would work if you’d like to make your own. That is an adorable idea!!!! So cute and fun!!! Can’t wait to seet the doors. Oh I am SO doing this. Genuis. Still working on your field hockey silo. Sorry I’m slow this week. I’m Enrichment leader and we have “Craftapalooza” next Tues. So everything is crazy right now. what an adorable idea! Sorry it’s taken so long to get back, but Targets are clearancing out their Nikon D40’s if you are in the market for a DSLR~good luck! love it… I read this earlier and keep thinking about how I can make this idea work in my home. Wish I was there to see it all in person- I ‘m gonna get me some spiders this year- just to copy your hanging kitchen ones. This is a great idea – I love having a place to put the kids “junk” and the colors you painted make it too cute! 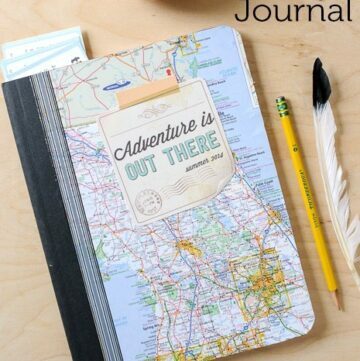 Super cute idea and so practical. Would have solved lots of clutter problems at my house. Thanks for sharing!! This is an awesome idea and so cute too. I featured your project on my site! 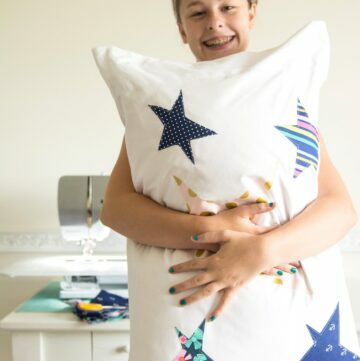 I plan on making one very very soon! Such a space saver. I have the same exact problem. They clean their rooms and if they have brother or sisters stuff in there they throw it in their rooms and mess them up again! I love this idea! 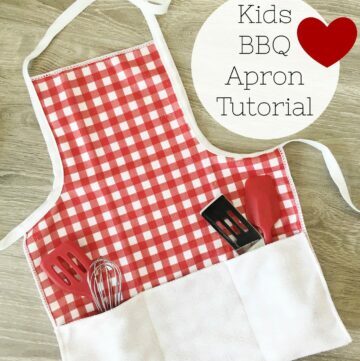 So cute & practical! Where were you a couple years ago… Walking past the ‘sibling piles’ on the floor, I’ve never thought of that. I may have to do this soon! Thanks! Hi, I just came accross your blog and I’m really enjoying it! 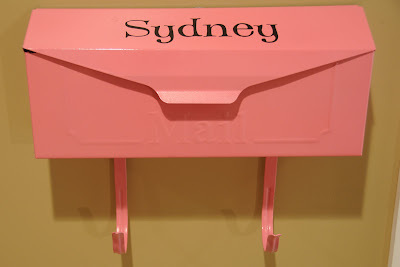 I love the mail box idea. My mom put mailboxes up for my sister and I when we were little girls. We totally loved it!! p.s. Where did you get photos printed on metallic paper? 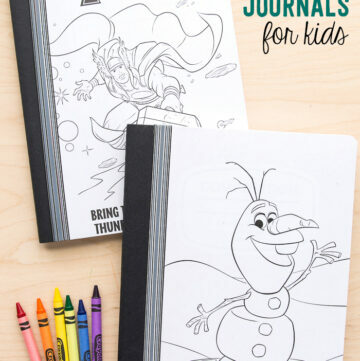 terrific idea…..I wish my kids were younger so I could use it! I super, super, super love this idea. First of all, what a creative way to organize. It’s funky, fun, and decorative! Antique ones would be cool or maybe mod podge? And secondly, what a great way to take car of that tooth fairy problem!! No waking the kids up accidentally trying to sneak the tooth from under the pillow! And THIRDLY, (See, this is why I super love it!! So many pros!) think of all the special notes you can give them to make them feel special! I think any kid loves getting mail! Oh the possibilities! My son is only two and my daughter 5 months, but I think I will copy you anyway!! Then I’ll post it on MY blog and give you all the credit! I love it! I have 3 little ones so maybe I will use this idea somehow. 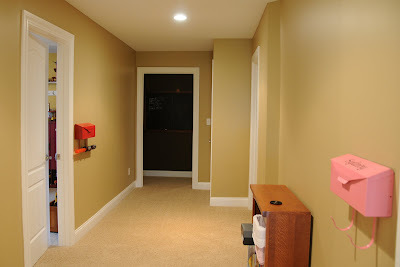 First I need to find a spot for the mailboxes since my hallway is skinny unlike yours! You have a fabulous hallway!!! This is such a great idea! LOVE it! Where did you find the mailboxes? Just at Lowe’s… nothing fancy! I found this on Pinterest, it’s such an adorable idea! I’m featuring it on my [so cheap, so easy] series tomorrow. I’ll link back to your original post. Thanks for the great idea! What a great idea! I just love the thought of my girls leaving each other letters one day. :-) Just pinned it! What a cute idea! Where did you get the vinyl letters to use on top? I had a friend cut them for me. Check etsy there should be lots of people on there willing to make custom letters! I was looking at the link of the mailbox you purchased from Amazon, but the mail box doesn’t show it having the metal hooks on the bottom, did you add them and if so where did you get them? In the Amazon link of the mail box you bought I saw that it did not include the metal hooks on the bottom. Did you add them and if so where did you get them?